The end of my racing year was supposed to culminate with the GRIM original race on 2nd December. The GRIM race would have been the first off road, muddy and wet race that I’d tried. Very much outside my comfort zone I’d psyched myself up for it over the last few months and was ready to take it on. Dare I say I was even looking forward to it? But then I had laser eye surgery and had a flaps created in my corneas which take time to heal completely. While I am fine to run normally again now, taking part in a race where I could very well end up face down in muddy water now seems like a pretty bad idea. It’s not worth the risk of damaging my eyes which are healing up very nicely, so unfortunately GRIM is now off the agenda. So instead I am focussing on building up my continuous runs and have set myself a target to be able to run 10K non stop by the end of the year. I am not at all concerned about pace, I know that slowing down will help me to keep going for longer – it’s just about building back up my ability to run without stopping. I’m currently at around 45 mins and I think I need to add another 30 mins to that over the next few weeks. Each time I go out I’m aiming to add an extra 5-10mins on. It’s totally do-able. 2013 is going to be all about half marathons for me. I want to get comfortable at that distance so that when I come to prepare for the London Marathon 2014 I have a solid base of training to work from. My first race of 2013 is the Brighton Half Marathon on February 17th . I am going to train for that using a Chi Running training program and my aim is to complete the race without stopping to walk. I also hope to improve on my time from last year but that’s not the priority. 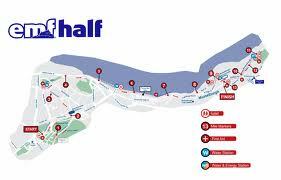 Then on May 26th I will take on the Edinburgh Half Marathon. I am going to use Jeff Galloway’s Run/Walk/Run method to train for this race. I want to compare how I feel during training as well as what time I am able to achieve following this method rather than a continuous running one. I will still use Chi Running principles but will incorporate Jeff’s suggested walk breaks into my training and during the event itself. Once I’ve completed both those events I want to compare the two training methods and how I did in both races. I know it can’t be an exact comparison as the courses are different and I will be fitter having trained for my second half than I was training for my first. But it will give me some idea about which method is likely to give me the best results when I come to train for London in 2014. I am also eyeing up a couple of other halfs – the Bacchus half in September looks like great fun as does the Bournemouth Half Marathon in October. I love the idea of taking part in the 5K ‘speed of light’ race at dusk on the Saturday before running the half marathon on the Sunday morning. I wouldn’t be looking for a personal best at that race but just to comfortably cover the distance again, building up my confidence. I’m already registered for the Great South Run at the end of October and I think once I finish that for the third year in a row that it will be time to turn my attention back to ‘the big one’ – the London Marathon 2014. So that’s my training and race plan for 2013. I’m sure there will be a couple of 10Ks in there as well along the way. What races have you got planned for next year? I’m jealous, I’ve got nothing planned yet. I follow the chi running principles which seem to work. Good luck! How are you doing after your injury John? Hope you’re on the mend? I seem to be ok, not done any long runs and have been using a foam roller a lot. Got a sports massage booked for next week so I should be ok. Just need to decide on on some new running goals. Thanks you – we’ve actually booked ourselves an apartment in the centre of town- the half marathon starts at 8am so we wanted to be close by! Edinburgh is where Dean went to Uni so we like to come back every now and again. We’re coming up for the whole bank holiday weekend so we’ll definitely arrange to meet while we’re there. Thank you – and good luck with your marathon – so close to Christmas – that is very brave! I do quite a lot of yoga and some pilates as well. I definitely neglected that and strength work when training for my first marathon. It’s definitely not all about running is it? Some great race plans there and I’m really interested in doing the Bournemouth Half & Speed of Light 5k – I have to talk to LD about that. I’ve also got to formalise & update my 2013 race plans! I’ve got a few things pencilled in but nothing confirmed yet, it will be all about building the base for 2014 marathons though! The Bournemouth races look brilliant don’t they? I think the 5K in particular looks fab but a half marathon along the seafront (that’s not Brighton) would also be great. Awesome race plan for next year! I sat down and mapped out mine – and ended up getting very frustrated. Three of my ‘really want to do’ races are on long weekends, and being intrepid travellers – those long weekends are precious travelling times for us (and besides, we have actually already booked flights!). So now I am back to the drawing board of trying to plan and fit races in. How can 2013 be so full already haha!?! I LOVE the idea of the Bacchus half…my first 10k was around vineyards and involved drinking wine along the way haha! I know the feeling – once I’ve scheduled in all the races and some time away with hubby 2013 is already looking really busy! I think Bacchus looks brilliant – I think some races should be about fun and not just chasing a PB – this look like it fits that bill. Entries open on Dec 1st I think.